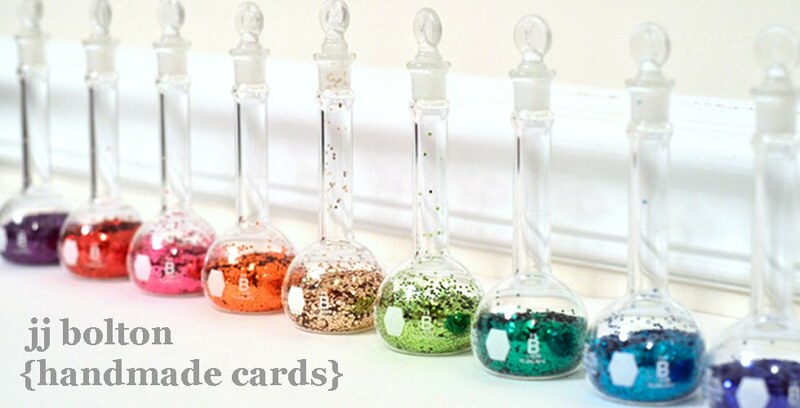 This little card seems pretty straightforward but I did end up using a bunch more tools than I thought. I used my Silhouette to cut a custom-size mask for the cookie and for the teeny heart. Using the mask I sprayed with the walnut ink and then used the distress ink to fill in the blanks. I even used my scalloped oval punch to take a "bite" out of the cookie. BTW, I'm so confused on the what a single layer card is. I'm thinking ribbons, buttons, and such count for a second layer, no? Ha! This is SO creative, and just plain fun! Beautiful execution. I just love it! This is AWESOME!! Big brownie points (heehee) for the cleverness factor! 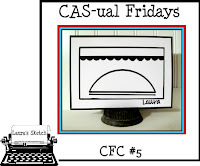 Thanks for playing along with us at CAs-ual Fridays!! In my opinion, clean and simple doesn't have to be a one layer card, unless a challenge specifically calls for it. I would think that buttons and ribbons do not count as a second layer but I could be wrong on that part as well. With all that aside, I think your one layer card is so clever, so cute and absolutely fantastic. I chuckled out loud! 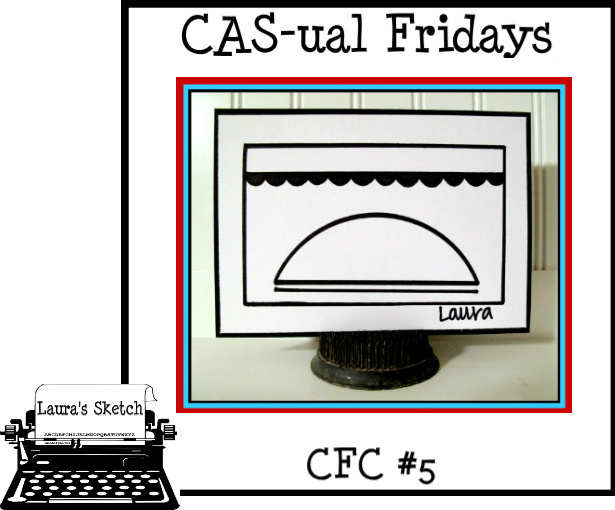 Thank you for sharing your talent with us at CAS-ual Fridays! AHH! I love it :) Omnomnom....cookies should just require that we say that while we eat them, just like little kids do ;) My son still giggles while he eats treats! About to add you to my Blogger reader...my first time visiting you here, and I love everything I see!! What a fun, fun design! I am in love with this card! Especially with the little bit taken out! 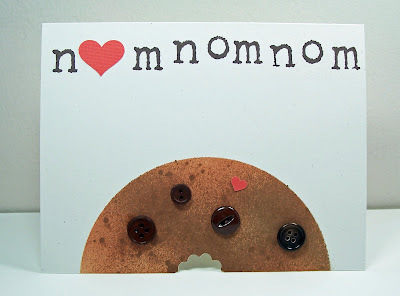 And the use of "nom" And the clever masking/inking. And the button chocolate chips. And EVERYTHING. OH MY GOO'NESS!! So stinkin' cute!! Love the chocolate chip cookie element - great interpretation of the sketch! Thanks so much for playing with us at CAS-ual Fridays! Looking forward to seeing more of your beautiful work in future challenges!